November 21-23 marked the successful implementation of the seventh workshop of IEPs “Training the Trainers on EU Project Cycle Management”. 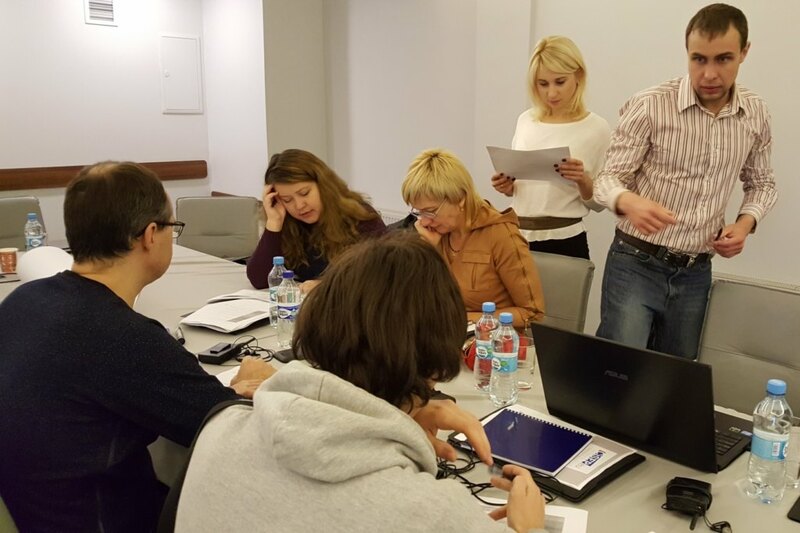 The training went once again back to the regions and took place in Odessa. The training series is aimed at enabling the Ukrainian civil society participants to apply for EU funding and manage EU funded projects according to the EU project cycle requirements but also to effectively pass on their knowledge to their colleagues through self-conducted trainings. 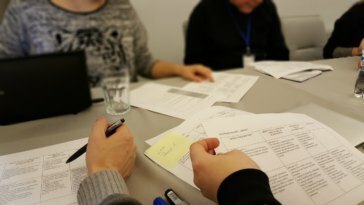 It is furthermore part of IEPs ongoing work (Civic School for Sound EU Practice – CiSEP) to strengthen the capacity of Ukraine’s civil society in the framework of the EU-Ukraine association process. The main topic of the training was “monitoring, evaluation and reporting”, three crucial elements during the implementation and finalisation of a project. With the typical mix of theory and practice and under the guidance of the Turkish trainer Mert Altıntaş, the participants developed among other things a small monitoring and evaluation plan on their own and learned more about proper reporting to the EU. For the final part of the training, Iryna Shvets from Civil Network OPORA Lviv worked with the participants on typical problems that arise during training and how to solve them. In addition to the normal training, this workshop was accompanied by the second of four “mini-trainings” to develop a trainer handbook for and by the participants on EU Project Cycle Management. For this, an EU PCM expert from Belgrade was invited to provide valuable feedback regarding the handbook content and to work with the participants on the second draft of the handbook. 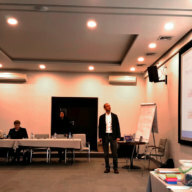 The training was implemented by Martin Stein, project manager at IEP, and organised in close cooperation with the Polissya Foundation for International and Regional Studies, as well as the Odessa regional organisation of All-Ukrainian NGO “Committee of Voters of Ukraine” and supported by the German Federal Foreign Office.